Regional rail in metropolitan New York is divided between Amtrak and three commuter railroads with relatively little connectivity between them. Additionally, the region’s three major airports have only minimal connections to the commuter rail system. 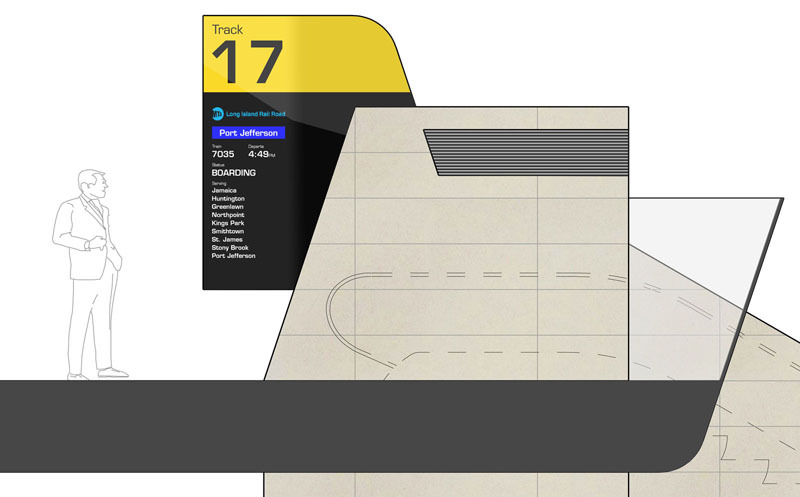 This balkanized system leads to confusion and travel delays, and because of Penn Station’s role as a terminal for two commuter rail systems, excessive dwell time by trains in the station leads to inefficient use of tracks and platforms. By through-routing some commuter trains to opposite ends of the city, trains can improve efficiency at Penn Station in addition to proving for greater connectivity throughout the region. 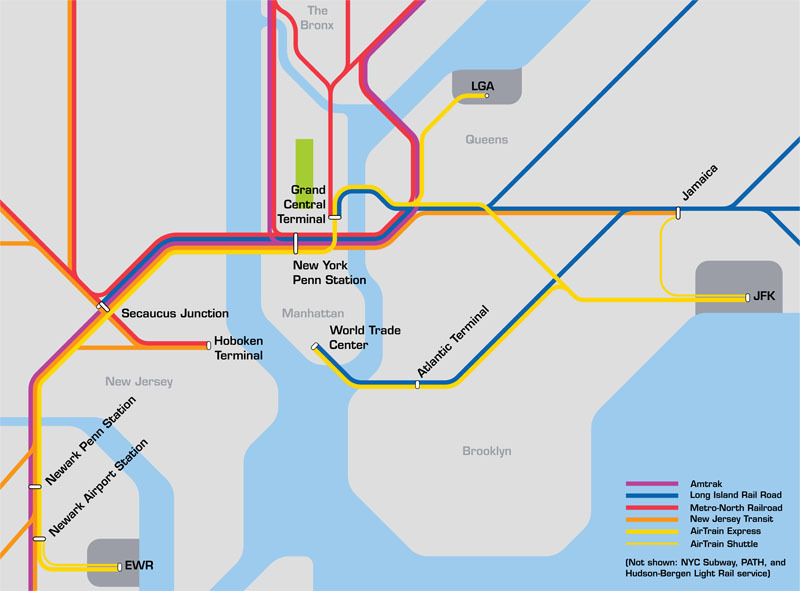 Additionally, the creation of a new connection between Penn Station and the LIRR portion of Grand Central Terminal (now under construction as part of the East Side Access project), express trains from the airports can directly serve both stations. Although Manhattan enjoys the most extensive transit system in North America, some areas of the island remain relatively out of reach, and transfers between Penn Station and Grand Central Terminal require taking two subway trains with an additional transfer at Times Square. 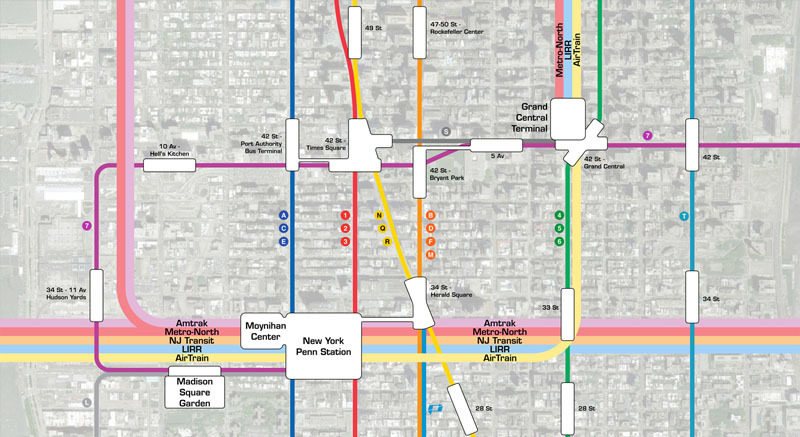 This proposal, combined with other proposed projects, greatly increases connectivity throughout the region, provides direct rail access to more of Manhattan, and provides a direct link between Penn Station and Grand Central Terminal. Departure information inside Penn Station is divided between the three railroads that occupy the facility, each with its own signage and display systems. In essence, Penn Station functions as three distinct train stations that happen to occupy the same building. While daily commuters eventually learn where to find the information they need, visitors and infrequent travelers find it very confusing. 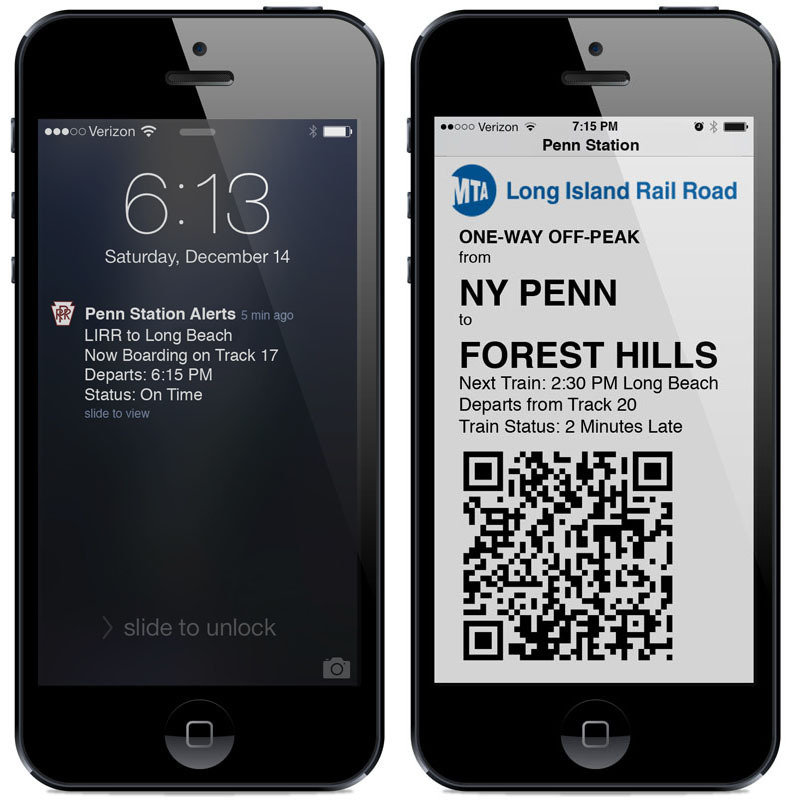 While nothing will ever completely replace the traditional departures board and ticket windows within the station, their roles can be reduced via technology that allows customized service advisories and fare payment options across a wide variety of mobile platforms.